South Africa is considered one of the best destinations worldwide for watching marine mammals, whether from boats or land, with spectacular annual visits from southern right and humpback whales and enormous pods of dolphins year-round. Southern right whales migrate annually from their icy feeding grounds off Antarctica to warmer climates, typically reaching South Africa in June. The country's coastal waters teem with the giant animals, mating, calving and rearing their young in safety – and giving whale-watchers spectacular displays of their raw power and elegant water acrobatics. 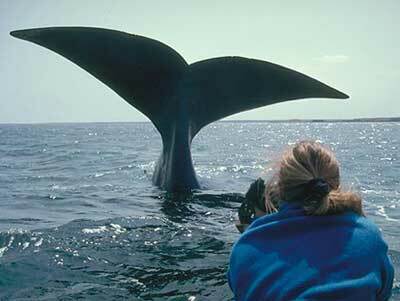 Southern Right Whales visit the area from about June to November, and migratory humpback whales can also be briefly seen from May and June and then, on their return trip, from about November to January. 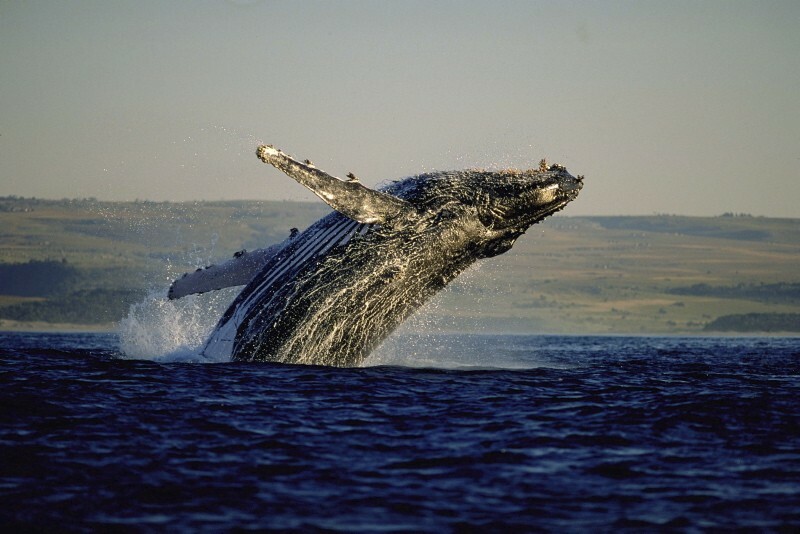 The Garden Route generally, from Stilbaai through Mossel Bay and on to George, Wilderness, Knysna and Tsitsikamma, is a magnificent stretch of coastline hosting southern rights in their season, humpbacks between May and December, Bryde's whales (Orcas) all year round - and, occasionally, killer whales. Bottlenose and humpback dolphins are in residence all year round. A breeding colony of Cape fur seals completes Plettenberg Bays' impressive array of marine mammals. It is in Plettenberg Bay that the dolphin and whale-watching industry is most organised, with trips in boats, kayaks and aircraft on offer. Viewing, distances and time spent with each animal are strictly monitored so that there is minimal interference. Boats are big, comfortable and moderately dry. Boarding is easy and people in wheelchairs can be accommodated. If you're feeling a bit more adventurous, you could paddle out in a sea kayak and the whales or dolphins may surface near you - they often do.